Your chiropractic evaluation will include our state of the art technology. Following a warm and friendly greeting from the Priestley Chiropractic Team, you’ll have some brief intake forms to fill out. (Click here to download and complete in advance of your visit.) You’ll then have the opportunity to tour our state-of-the-art healing facility as we review your health information. The primary goal of your first visit is to determine if we are the right office and doctor for your needs. 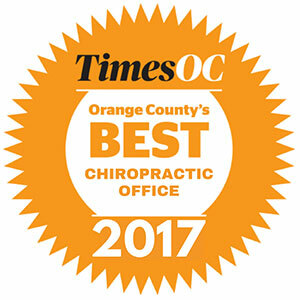 We’ll start with a consultation to review your current status then you will receive a chiropractic evaluation using state of the art technology called the Millennium Subluxation Station to measure the function of your nervous system. The Subluxation Station is the only technology of it’s kind to be certified by the Space Foundation and used by NASA for the astronauts as well as elite athletes such as Joe Montana (3 time Superbowl MVP) and Dan O’Brien (Olympic gold medalist). The testing is completely painless, non-invasive, takes just 10 minutes and renders a computerized report that we will give you for your records. You may also receive digital x-ray if the doctor determines they are necessary. You will then go home while the Doctor analyzes all your findings and marks the x-rays. Check what will happen on your second visit.